It's a short ride by train to the Junction, then a bus down the hill to Bondi Beach. At first you seem to be riding through an ordinary part of the city. Then a horseshoe of pure creamy sand and the bluest expanse of clear Australian water closes out the buildings like the focal point of a perfect picture and you can't take your eyes off it. The sea has a different personality every day at Bondi Beach. It might be calm, people filled and hot one day. Then, the next, the wind is up, surf rises and the boardriders have their day. Most days, the water is clear enough to see ripples on the sand from chest height. When it's stormy, stay out and admire the rage. The water temperature stays at about 21C all year round at Bondi Beach, although the outer air can drop enough to keep you well indoors in Winter. Any time of year, the place is alive. Little cafes serve the best coffee in the world. There are breakfast bars where the proprietors learn your name in a moment, engage you in conversation and slot you into the community they have created. Everywhere seems just like home. I go there for the beach. It's one of the world's best. Others go for the social life or the shopping. Whatever your reason, don't miss Bondi Beach if you are ever in Australia. It's a place you'll never forget. Nori's Reply: Linda, thank you so much for writing about a beach that is on my personal bucket list of "Top 10 Beaches To Visit. My parents have been there and they rave about it to this day (I was not born yet). I asked them what other beaches they had visited during their 6 weeks in Australia. This was the only one they could remember, which just about says it all. Thank you again for sharing your love of Bondi Beach! One day, I hope to meet you either surfing or at one of those little bistros you mention! It's a amazing hill station. 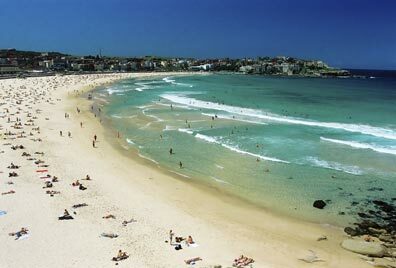 I have been to Bondi Beach last May 2009 and I can surely say it's one of the best beaches I have been to so far. Another beach I love in Australia is in Manly Island.